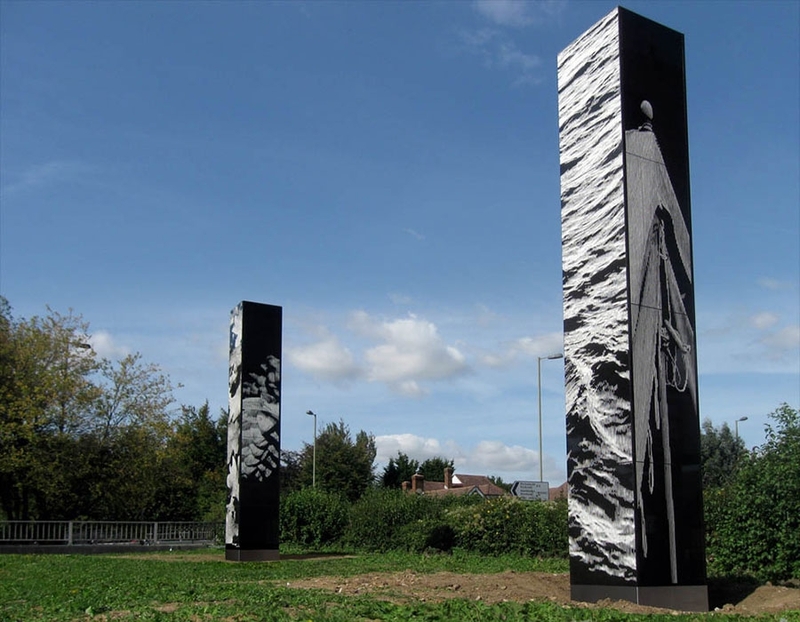 Duke of Wellington and his troops on their return from the Battle of Waterloo. 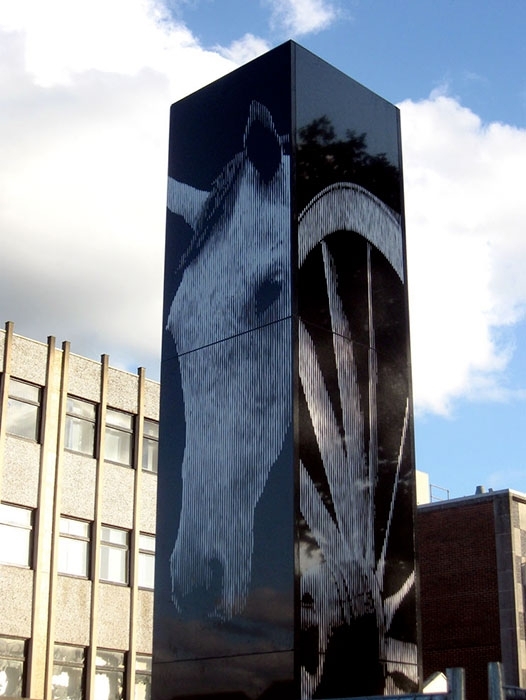 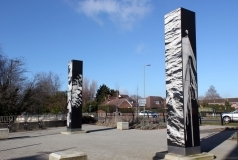 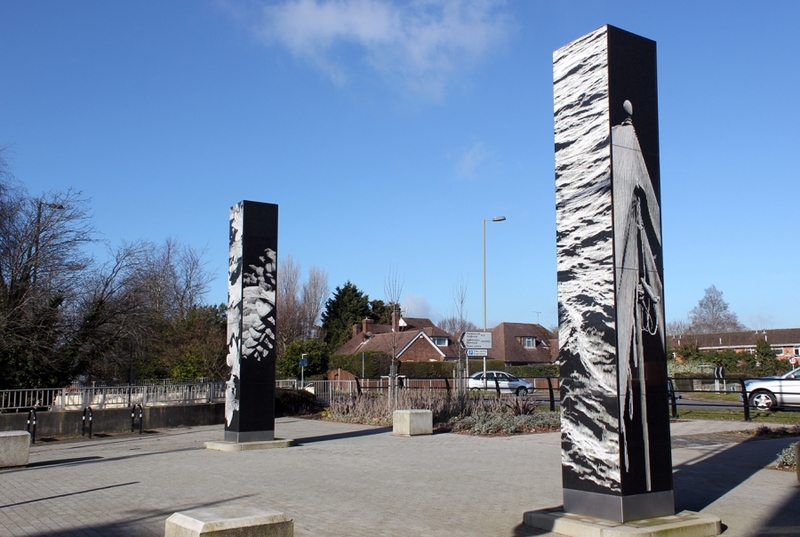 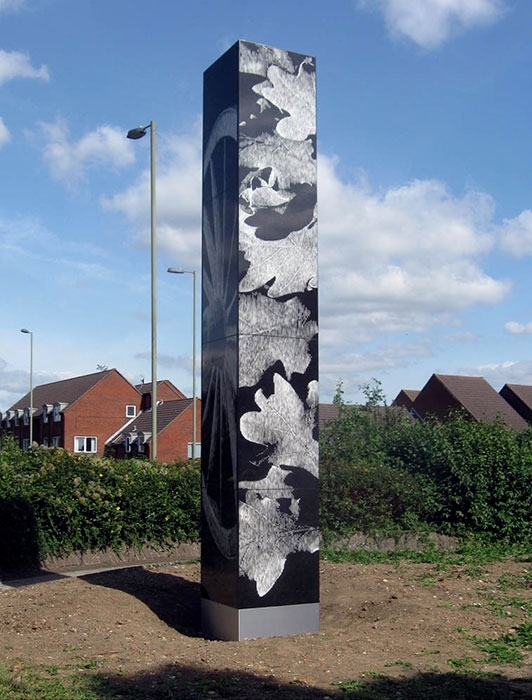 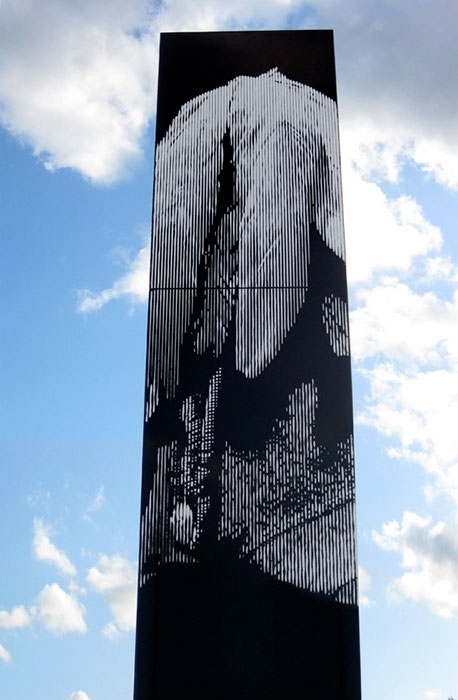 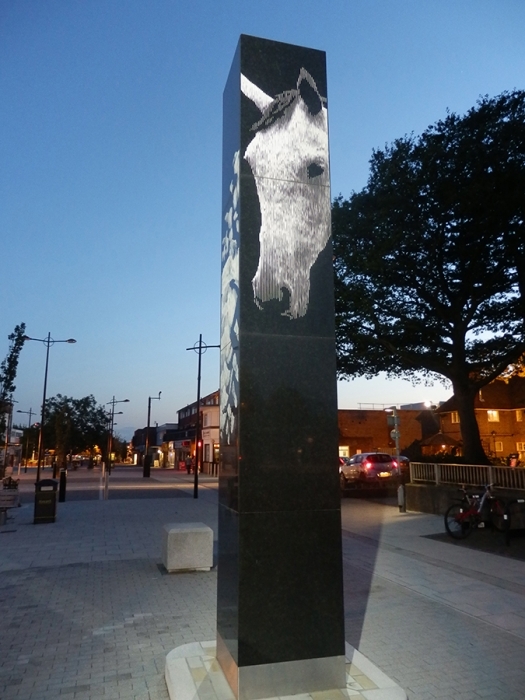 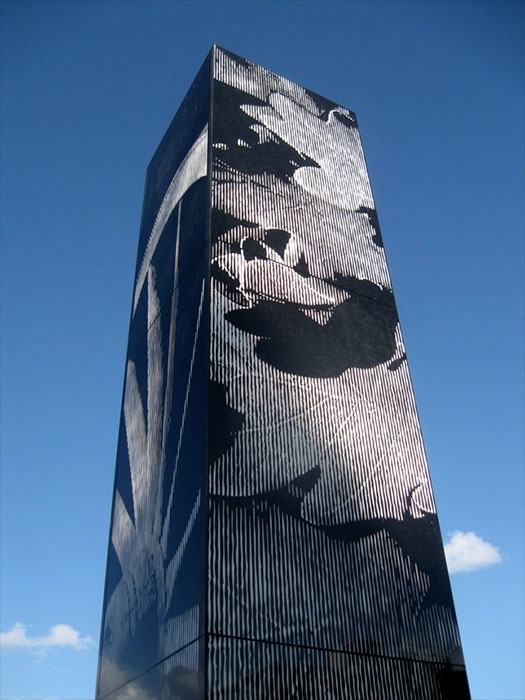 Two columns with etched images on black granite and stainless steel bases, each column 5m high x 0.75m wide x 0.75m deep. 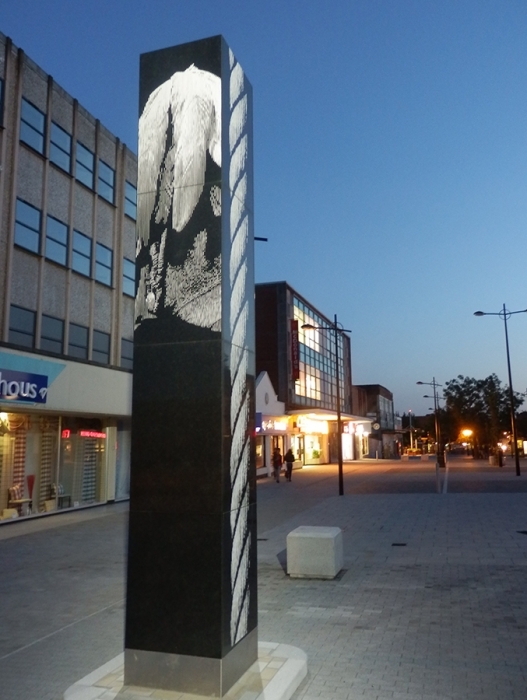 Commissioned and managed by Havant Borough Council.